New Delhi, June 25 : BlackBerry has launched their latest Z series smartphone, Z3, which will be available for pre-order starting today via selected e-commerce websites and BlackBerry stores, in New Delhi. The phone, which is priced at Rs 15,990 in India, is among the first devices made by Foxconn for the company and sports a 5-inch qHD (540x960p) display with a 2500mAh battery. Comprising of a 1.5 GB RAM, the phone runs on BlackBerry 10 OS version 10.2.1 and is powered by a 1.2GHz Qualcomm Snapdragon 400 (MSM8230) dual-core processor. It also features a version of 2D BlackBerry Maps, local search, and 3D voice guided turn-by-turn directions for users in India, while the keyboard supports Hindi and Hinglish predictive input. 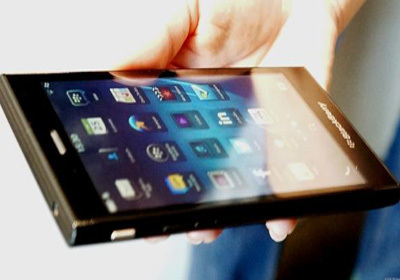 Sunil Lalvani , Managing Director BlackBerry India, said "16 out of 20 G20 governments are on Blackberry and our latest phone has been developed keeping in mind the need of the Indian consumers. This is a new beginning for us."